I am interested in groups of symmetries and work in areas which are connected to them: analysis, geometry, mathematical physics. Symmetries make the order and beauty not only in science but (primary!) in the entire world surrounding us. 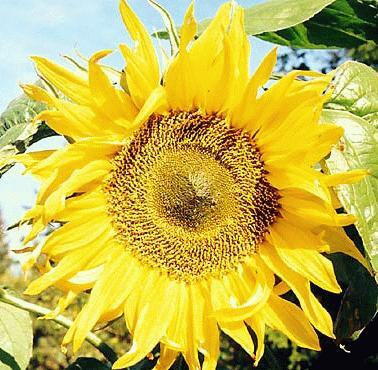 Flowers or architectural masterpieces, e.g. 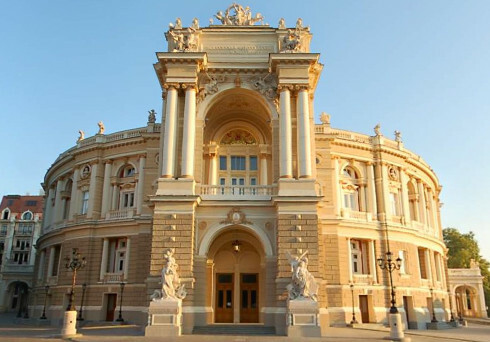 Odessa Opera Theatre, contain patterns with symmetries of various kinds. Symmetries and invariants play an important rôle in sciences since Galileo formulate his relativity. More recently it was realised that symmetries of physical equations simplify their solutions and produce conservation laws for important quantities like energy (Noether’s Theorem). The role of symmetries in mathematics and physics is widely acknowledged, the Erlangen program for geometries of F. Klein (who was inspired by S. Lie) and the theory of relativity developed by H.A. Lorentz, J.H. Poincare, and A. Einstein are probably the most famous examples. Yet there are many topics where symmetries could bring surprising discoveries or provide enlightening explanations. It is also important that groups enrich links of analysis with other mathematical subjects like combinatorics or applications like quantum and classic mechanics. 1. Spectral Analysis of Operators from Wavelet Transform: a definition of functional calculus as an intertwining operator and a spectrum as its support produces a complete 3d spectral characterisation of non-normal matrices. 2. Symmetries of Spaces of Analytic Function: there is a unified construction which produces many different analytic function theories with distinctive properties, e.g. in hyperbolic case one may continuously invert the interior of the “unit circle”. 3. Quantum-Classic Interaction and Coherent States: the Heisenberg group generates both quantum and classic mechanics, and its outer automorphisms generates important symmetries both of them. 4. Enumeration on Semigroups and Hypergroups with Tokens: there is a big number of seemingly unrelated objects based on the common ground. For general information see Prospective Postgraduate Student Page. By the way, my PhD students become descendents of Chebyshev, Lobachevsky, and Kopernik as can be seen at Mathematics Genealogy Projec. Last modified: March 23, 2017.